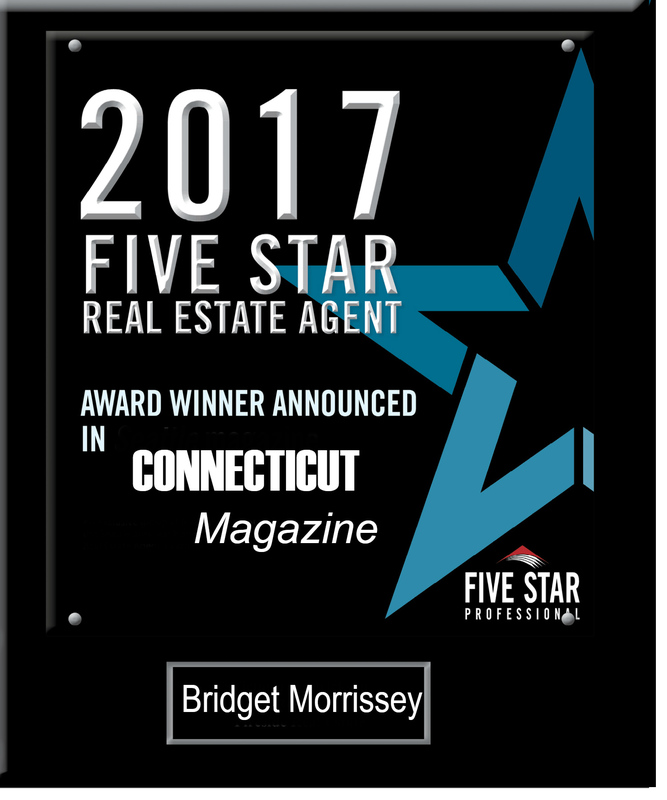 Five Star Professional has named the Connecticut recipients of the 2018 Five Star Professional Real Estate Agent award and for the fourth year in a row Bridget Morrissey is one of the honorees. 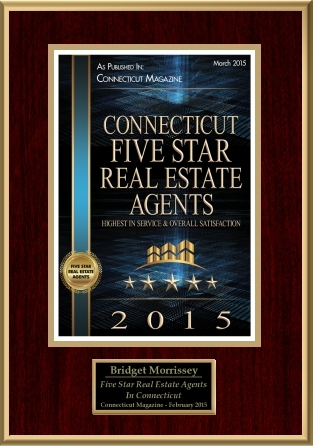 The award winners appear in a special section of Connecticut magazine. 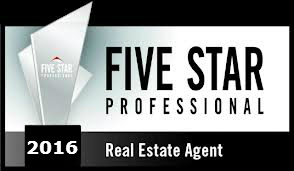 Five Star Professional partnered with Connecticut magazine to find real estate agents who satisfy five objective eligibility and evaluation criteria that are associated with real estate agents who provide quality services to their clients. Fewer than seven percent of the real estate agents in Connecticut were selected. Award candidates were identified through nominations received by consumers. A survey was provided to all Connecticut residents (more than 5,800 households surveyed) who purchased a home over $150,000 within a 12-month period. Survey recipients were asked to evaluate real estate agents with whom they have worked and evaluate them based upon ten criteria. Each award candidate was reviewed for disciplinary actions, customer complaints and regulatory actions as reported by regulatory agencies.